In the latest case of me learning about something just hours before it’s set to start, Medici.tv will be live streaming a special New Year’s performance of Emmerich Kalman‘s 1915 operetta Die Csárdásfürstin (aka, The Gipsy Princess for those non-Hungarian speakers among you) from Staatskapelle Dresden with the powerhouse duo of Anna Netrebko and Juan Diego Flórez. You’ll need an account to see the live performance, but it’s free and pretty painless! Operetta seems to be an old world New Year’s tradition, and the Met Opera is getting in on the game with a new production of Franz Lehar‘s Merry Widow premiering on Wednesday, New Year’s Eve! So get your operetta fix this week! Remember when I ironically posted about EuroVision and their crazy Romanian vampire countertenor? Well joke’s on me, cuz Florin Cezar Ouatu (aka Cezar the Voice) has entrenched himself into the operatic world by somehow becoming Mr. Gheorghiu. Yeah, that Gheorghiu. And now that they’re the out & proud new Romanian opera power couple, they went back on Romanian TV to sing La Barcarolle, famous duet from Offenbach‘s Les Contes d’Hoffmann, with the traditionally mezzo part taken on by Cezar. Hats off to you Cezar, you’re really set for life now. Tonight and Saturday are your last chances to see the final opera in New York City Opera‘s current season, Offenbach‘s 1868 operetta La Périchole at New York City Center. These designs come from La Monnaie‘s super entertaining digital archives, but I’ll admit that my original motivation for the “fashion” tag was Nana Mouskouri‘s awesome get-up in her duet with Thierry Le Luron. Oh man, 1960s French variety shows, yes please. NYCO and director Christopher Alden‘s production leans a little more modern (and Mexican), but it looks like a riot! So I saw The Turn of the Screw at New York City Opera and it was sooo great! Everything I’d hoped for and more. The updating to the 1980s worked great, the set was neat (even if it could’ve stood to change a bit more for certain scenes), there were some wonderfully creepy ghost-related stage pictures, and most importantly of all: the music, story, and performances were just spectac’. 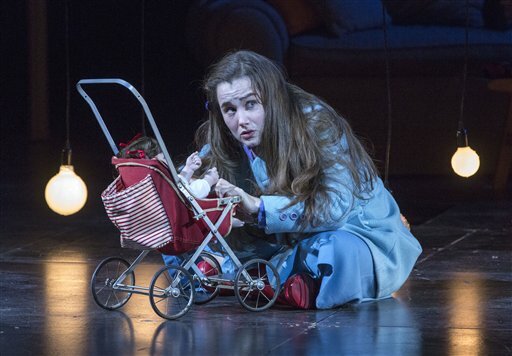 But when soprano Lauren Worsham (below) who, despite being 30 was great as the skittish child Flora, came out for her bow in an oversized purple ’80s sweater, what cartoon character did she remind me of? Leonard Bernstein was born in 1918, and the Leonard Bernstein Office in New York is now fielding submissions for a logo for his centennial. Information on competition guidelines are here, and the last day to submit is January 31st, 2013. Any creative followers out there get cracking! And definitely share your submissions with us! Somehow I stumbled upon the season illustrations for the Opéra Comique in Paris, which are adorable. 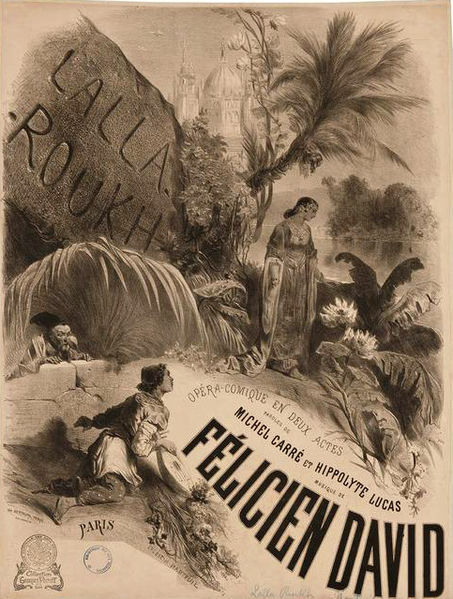 They’re by Guillame Dégé, and I don’t know what vegetables have to do with any of the operas, but I’m loving it. The line-up is quite interesting too, with about half baroque repertory and half early modern repertory, but all pretty off-the-beaten path.